To produce various media related publications. 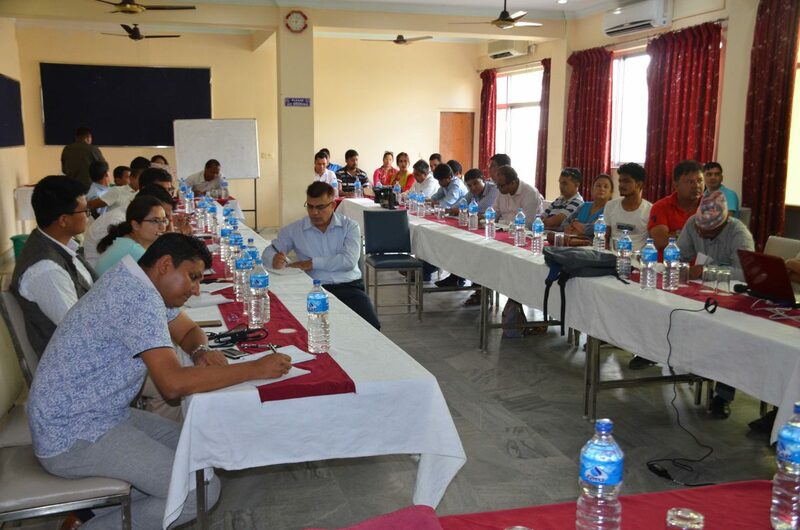 Since its establishment in 2007, MTC has conducted sixteen (16) training programs in major towns of Nepal including Dharan, Kathmandu, Pokhara, and Birgunj. So far, by June 2011, one hundred forty-eight (148) individuals have benefitted from the trainings conducted, out of which fifty-four (54) are females. MTC has published a book entitled “Radio is Magic”. According to Sahaj Man Shrestha, MTC co-ordinator, this book contains useful tips for radio program producer. It provides the tips on how to produce a good radio program. It has also prepared a “Guidebook of digital photojournalism”. This guidebook acts as a helpful tool for amateur photojournalists. Besides these, it has also produced “Basic Digital Photography Tutorial Video” which provides the idea about how to handle the digital cameras both the Compact and the Digital Single Lens Reflex (DSLR). Photojournalists, who have received trainings from MTC, have gained more prominence. Their photos often appear in the most of the national daily newspapers. Similarly, because of MTC, newspapers from outside the capital have also begun to give space for the photos in the newspapers. MTC is going to conduct five activities current fiscal year with the partnership and cooperation between NEFEJ and Rosa Luxemburg Foundation (RSL). Five activities are radio training, photojournalism training, environmental journalism training, interaction program and online journalism workshop. The aims of the project are to enhance capacity of journalists, to facilitate public discourse on the democratic process and to help sustainable development in Nepal. Om Khadka, Executive Director NEFEJ signxing agreement for RSL and Nefej/MTC Project 2010. Currently MTC has been working in close co-operation with Rosa Luxemburg Foundation; a Germany based International Non-Governmental Organization (INGO). Since its commencement day in 2007, Rosa Luxemburg has been supporting MTC to conduct various training programs.